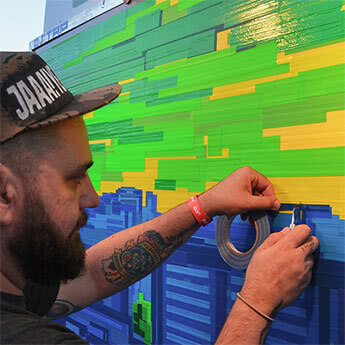 Two anamorphic graffiti made with white duct tape only. 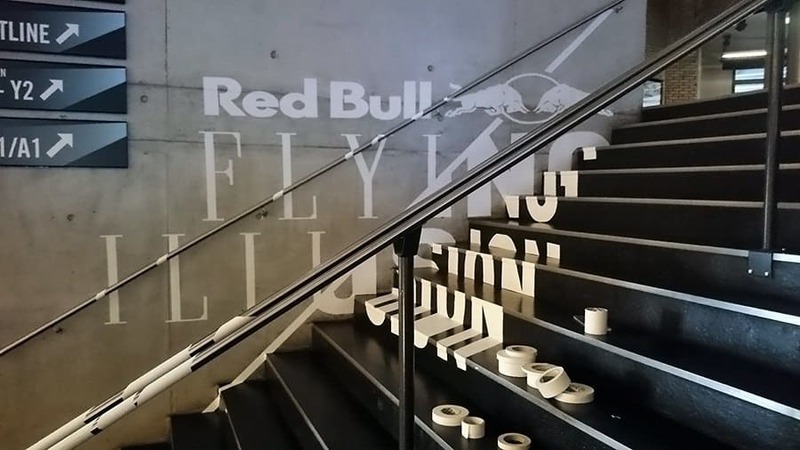 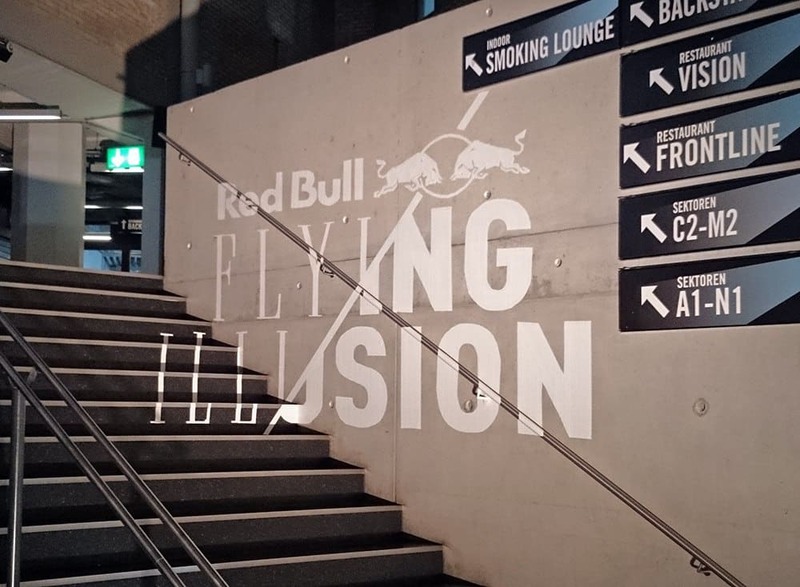 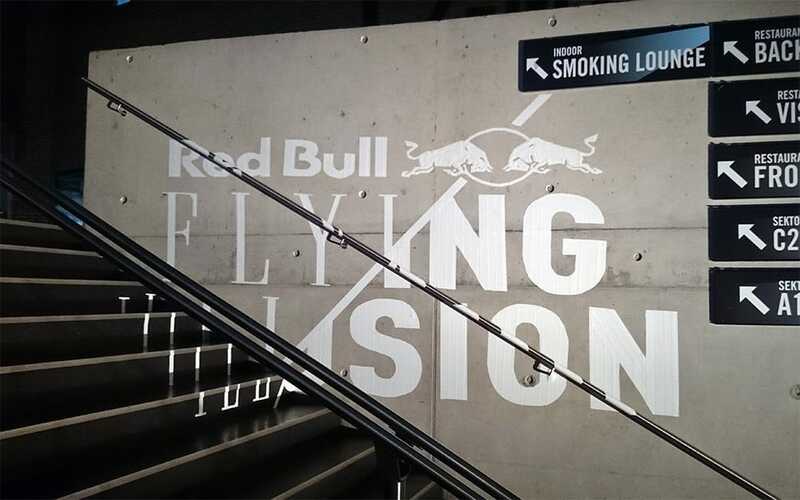 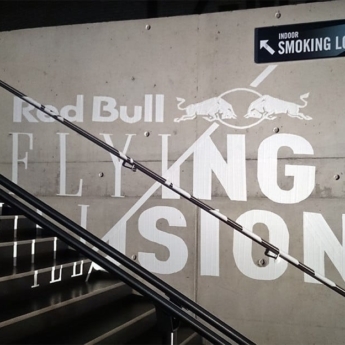 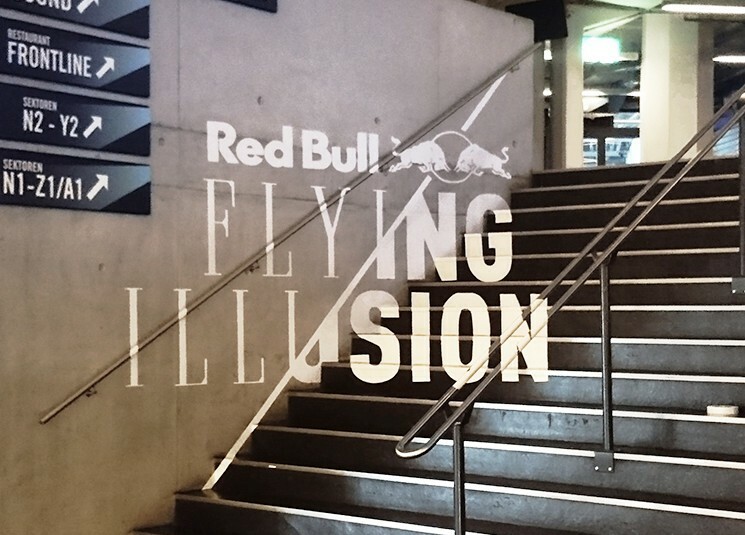 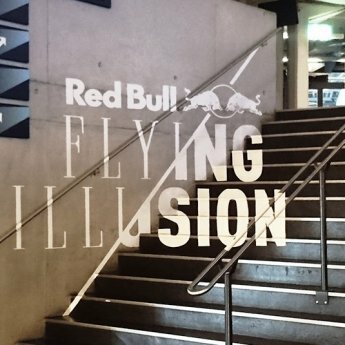 Project for “Flying Illusion Show” by Berlin-based breakdance crew “Flying Steps” in Zurich (Switzerland). 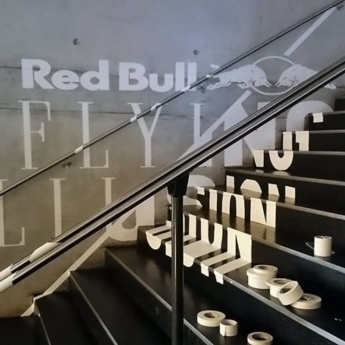 In collaboration with Robert König (TAPE OVER). 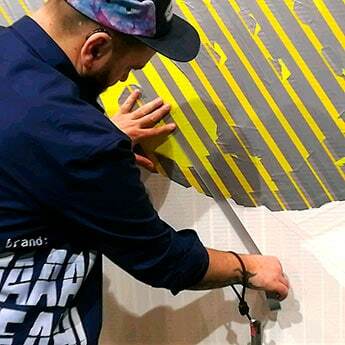 Size: 400 x 200 cm. 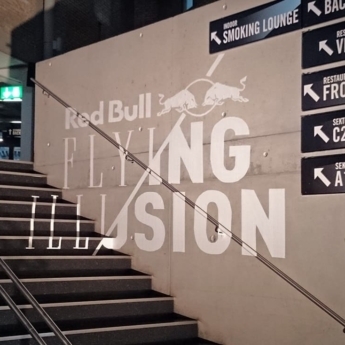 Zurich 2015.